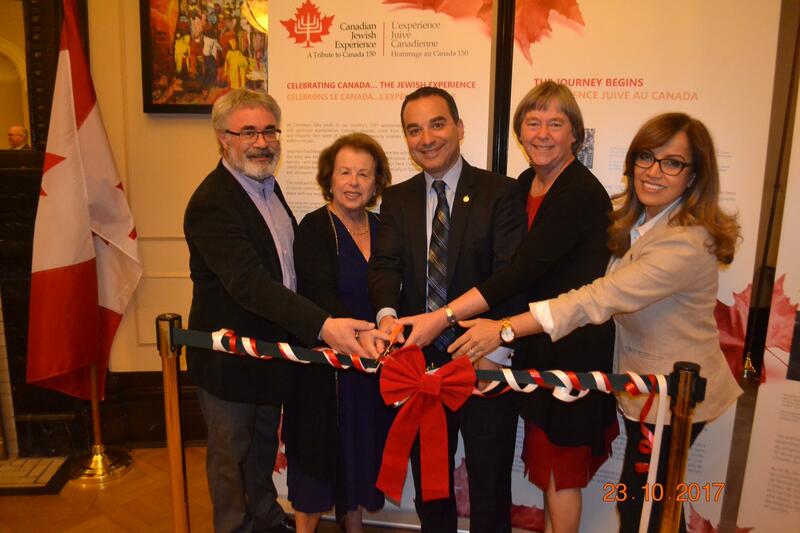 Canadian Ambassador Ms. Deborah Lyons launched the CJE exhibit at the Knesset on Tuesday, June 26, 2018. 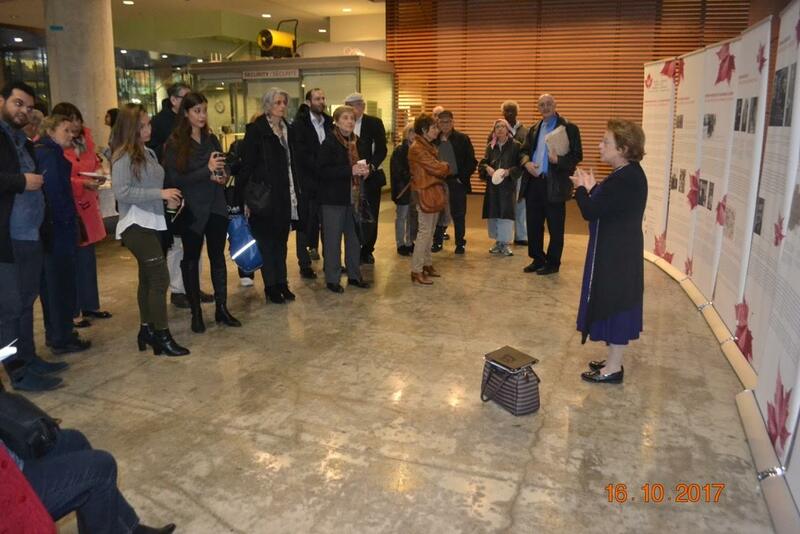 Affairs Committee MK Avraham Neguise (Likud) in front of the CJE panel exhibit at the Knesset. At the inaugural event on the Hill recognizing May as Jewish Heritage month. 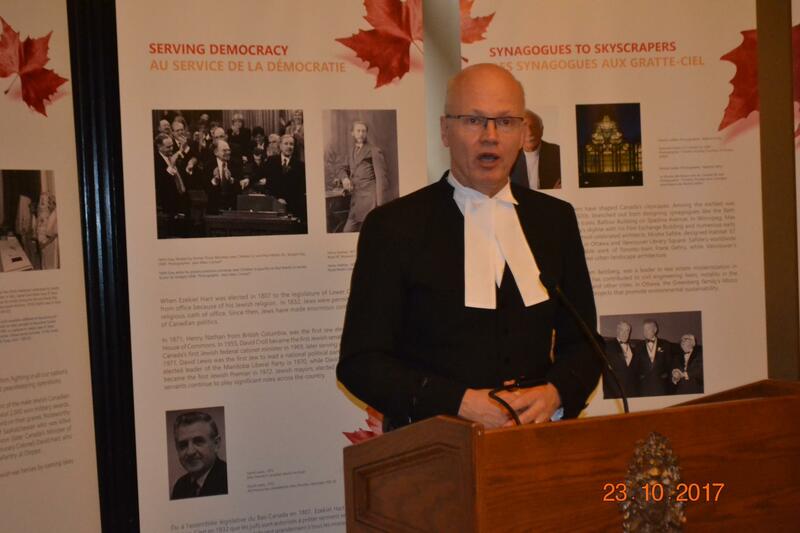 The event took place last night on Parliament Hill, It was a very impressive and important reception recognizing officially dedicating the Month of May as Jewish Heritage month. A moment of pride for the entire community that appreciates our great country that we call home. 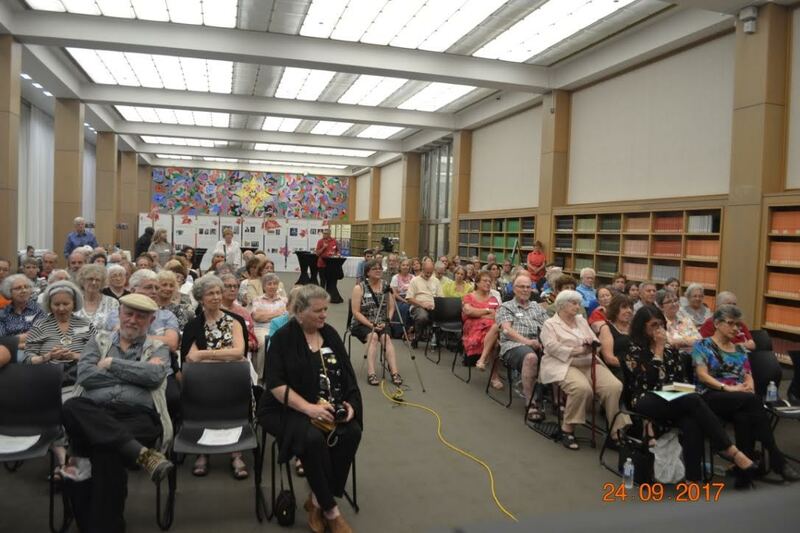 The event was organized by MPs Michael Levitt, Lib, David Sweet of the PC and Randall Garrison of the NDP. 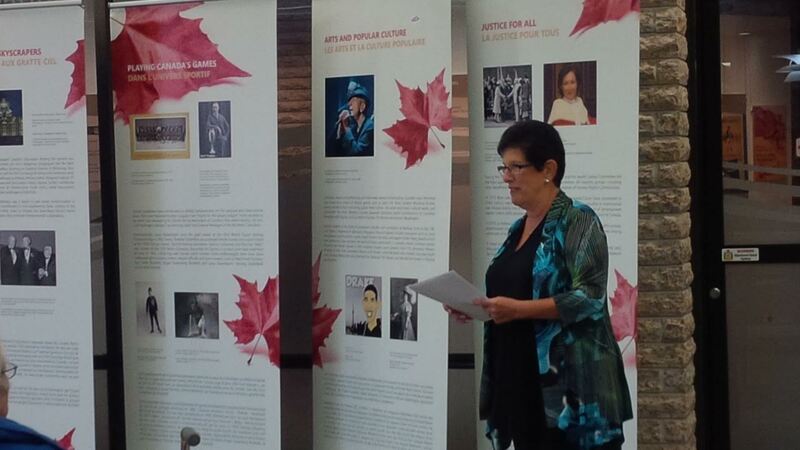 Emcee Julie Dabrusin, Heritage Minister Melanie Joly spoke as well. All of us enjoyed a wonderful spread of Jewish foods. 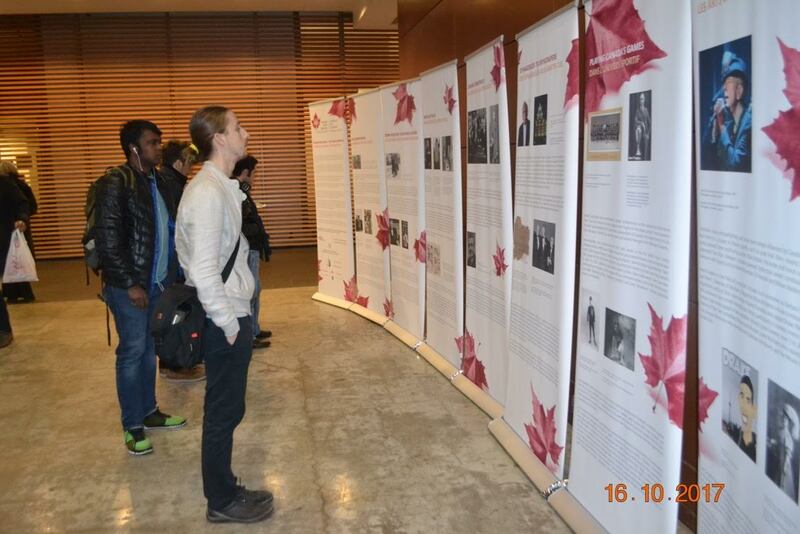 The CJE exhibit was on display at this event and many people as well as Parliamentarians viewed the panels and reacted very positively. The big surprise for me was that the CJE was honoured at this evening along with Irwin Cotler, a great company to share this great honour. Michael Levitt Jewish Heritage Month Reception, Ottawa, ON, on 30 May, 2018. 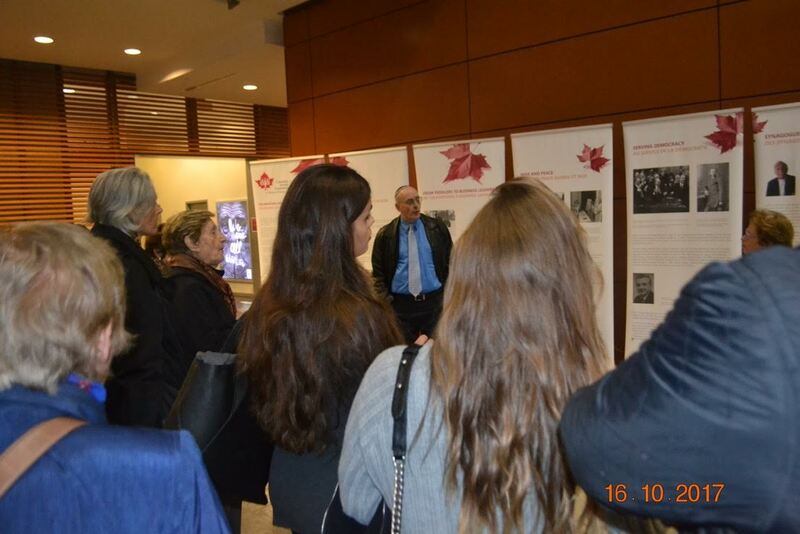 Friday, May 11, 2018 – Launch of the Canadian Jewish Experience as part of Ontario Jewish Heritage Month at Vaughan City Hall. 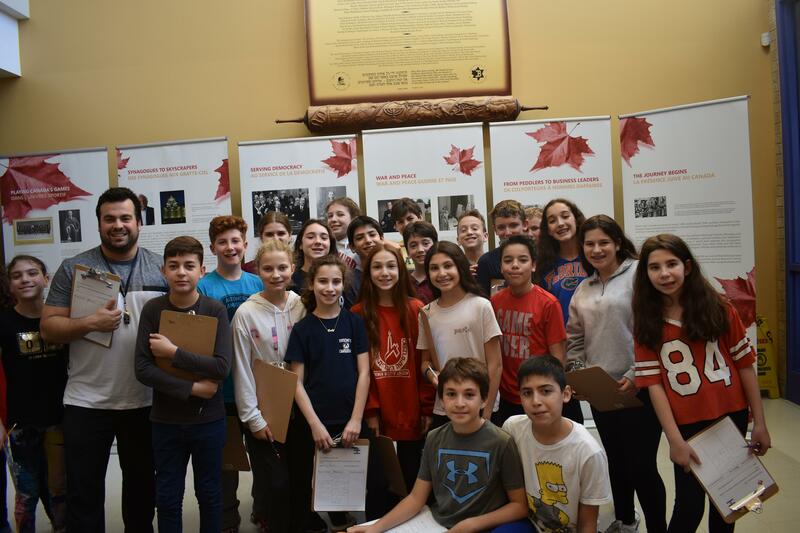 Mayor Bevilacqua and City Counselors, MP Deb Schulte participated in this event; the Netivot Choir performed for the guests. 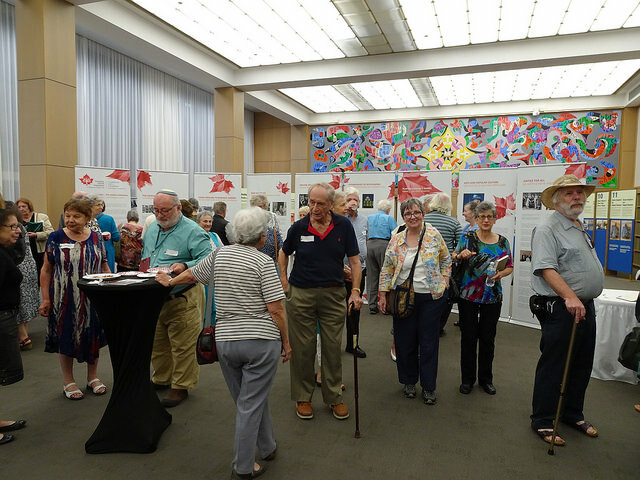 of Canada to Israel, at the CJE Exhibition, Tel Aviv, Israel. 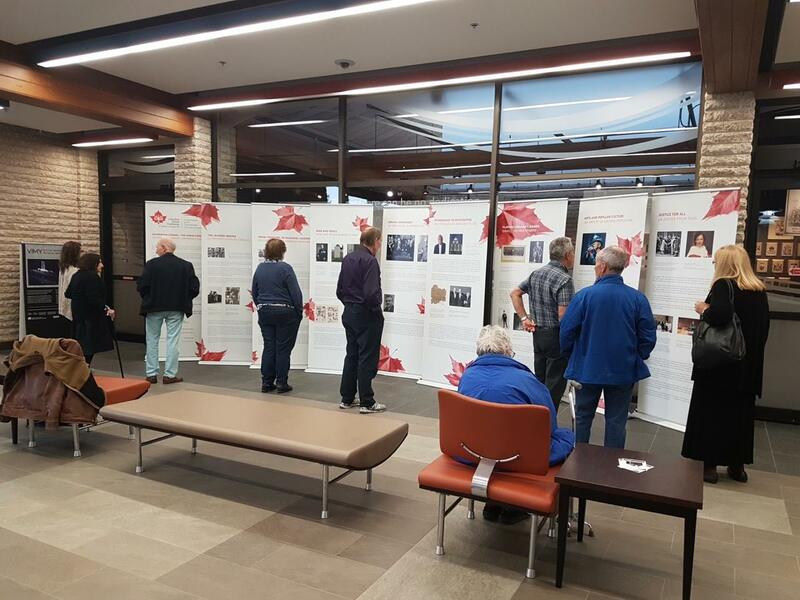 The Canada 150 panels have been on display in Memorial University Queen Elizabeth II Library (12 days in January), the St. John’s City Hall in January and February, and since then in the lower lobby of the Arts and Culture Centre in St. John’s. We will be retrieving them in the next couple of days. Cutting the ribbon for the Cecil Hart panel, from let to right: Mark O’Neill, CEO of the History and war Museum, Rabbi Reuven Bulka of Ottawa, Tova Lynch of the CJE, Guy Lafleur, Deputy Mayor Bob Monette, Andrea Freedman, CEO of the Ottawa Jewish Federation, Guy Berthiaume, Archivist and Librarian of Canada, Bill Leonard of the National Capital Commission, Andrew Ross, of LAC who spoke about Cecil Hart and the Hart family, who were the original Jewish settlers to Canada in the 1700s. Guy Lafleur with both Hart Trophies and the Stanley Cup. Cecil Hart panel in the background. Please find attached the invitation that we will share with the Jewish Community in London. 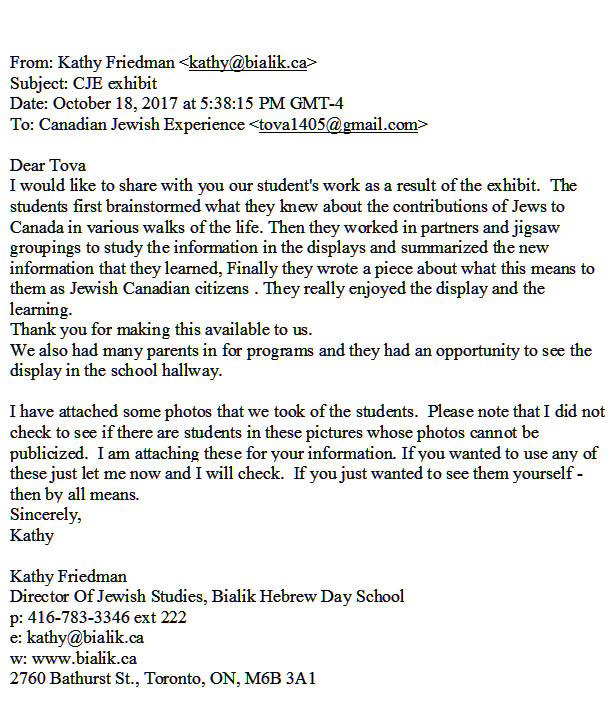 We would appreciate it if the invitation for our private reception can also be extended to the Canadian Jewish Experience board, volunteers and sponsors. We are grateful to all the partners in making this exhibition a reality, Huron is proud to host it in London from Nov 20-Dec 22. 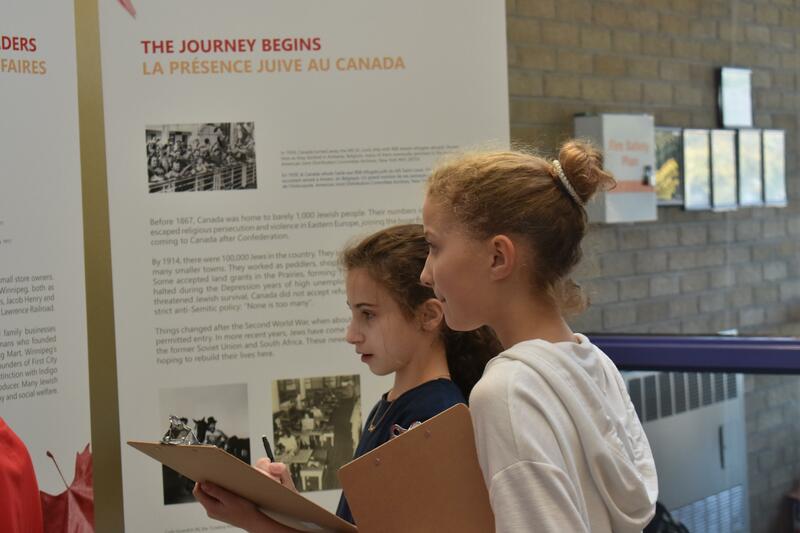 We will be hosting a reception on December 13 at Huron to celebrate the Canadian Jewish Experience exhibition and also to announce the Jewish Studies Program at Huron. 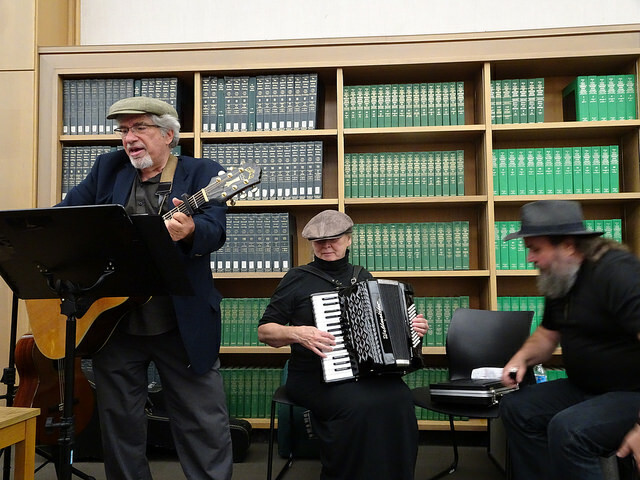 Beginning this year, Huron is the new home to the Jewish Studies Program that was previously administered by Western University. Thank you very much for your help. I’m not sure what your plans are for December 13 but we would love to see you at Huron if you are in our area. Ms. Gail Asper, President of the Asper Foundation; Dr. Jon Gerrard (Opposition). 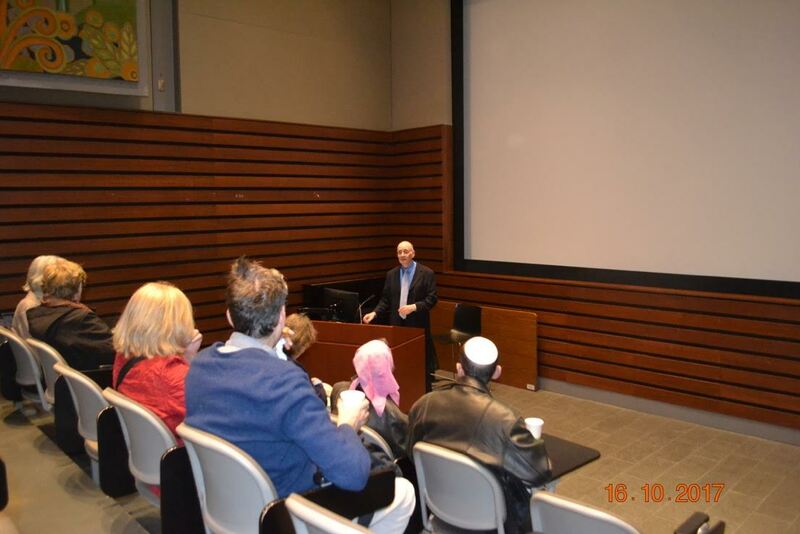 Jewish Federation in Winnipeg, Dr. Victor Rabinovitch, Senior CJE Advisor. I am writing to draw your attention to a newsworthy event which took place 11 October at Bishop’s. 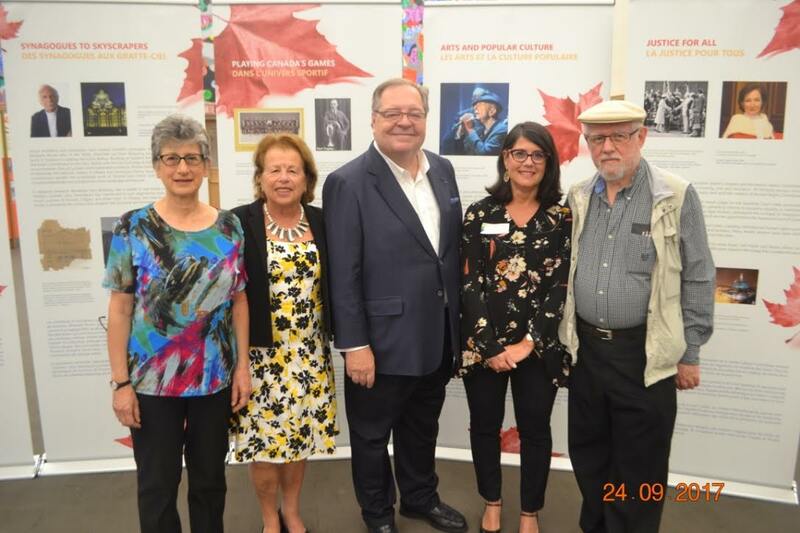 The Canadian Jewish Experience a Tribute to Canada 150 (CJE) held a vernissage on Wednesday Oct 11 at Bishop’s University, the exhibit will remain at Bishop’s until October 26th. Ms. Sharon Smith, Dr. Michele Murray, Mr. Neil Bronson, all from Bishop’s. 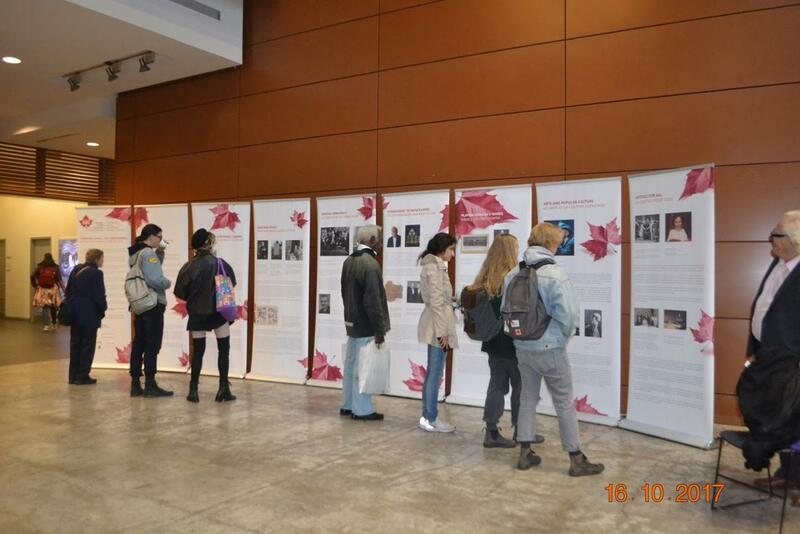 CJE’s purpose is to share with all Canadians some Jewish aspects of Canada’s story through a special ten panel exhibition, a website, and special speakers series. The main goal of the CJE exhibit is to be an educational tool for young and old. 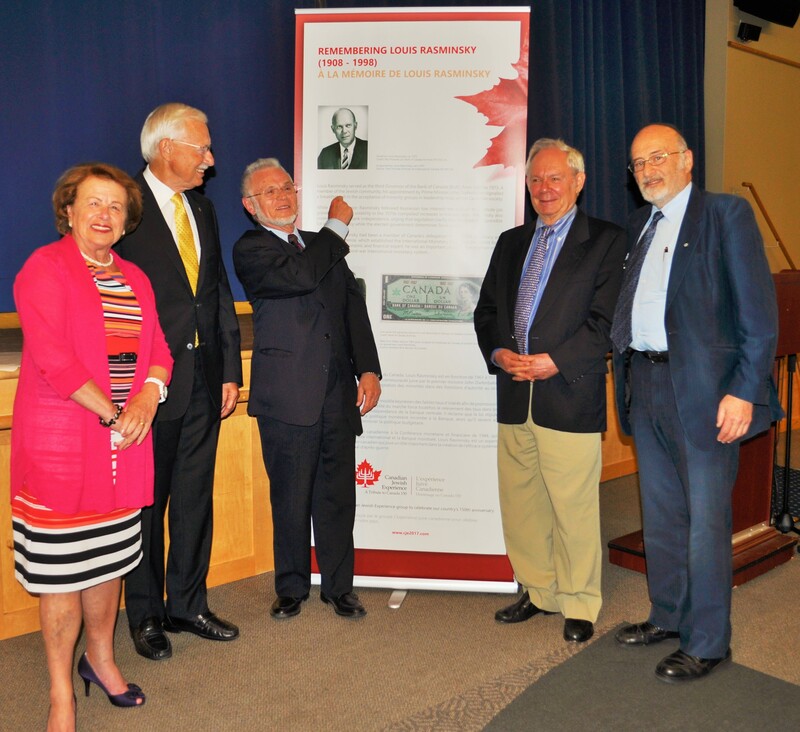 Jewish Canadians have played important roles in all facets of life in Canada, dating back to the mid-1700s. Their accomplishments reflect the challenges and successes experienced by this country over the past 150 years. Canada’s 150th anniversary is a time for celebration by all citizens and residents, whatever their faith or ethnicity. 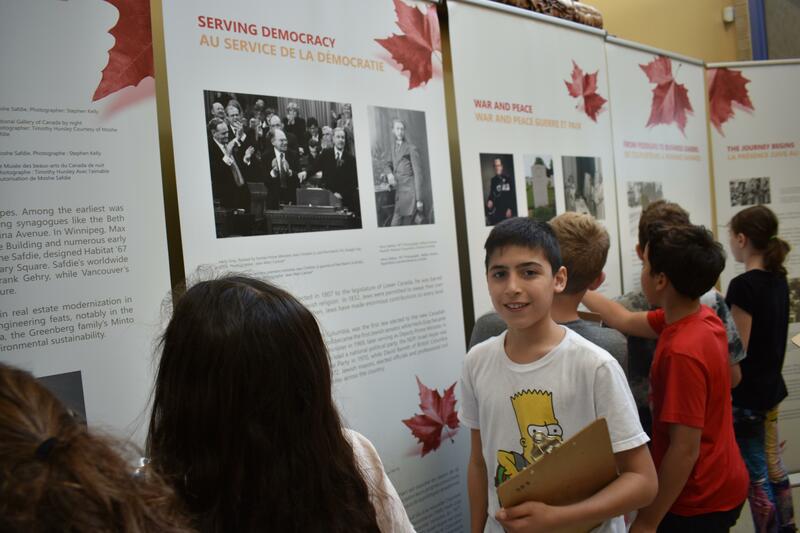 The CJE exhibit stresses that Canadians continue to build a country that respects cultural and religious diversity, national unity, fairness and progress. The text of the nine panel CJE exhibit is bilingual. The panels are built around nine major themes, including patterns of immigration, war and diplomacy, public service, justice and human rights, economic growth, arts, culture and sports. The Exhibit Curator is Sandra Weizman Morton with contributions from Dr. Victor Rabinovich, President emeritus of the War Museum and the former Museum of Civilization (now the Museum of History). 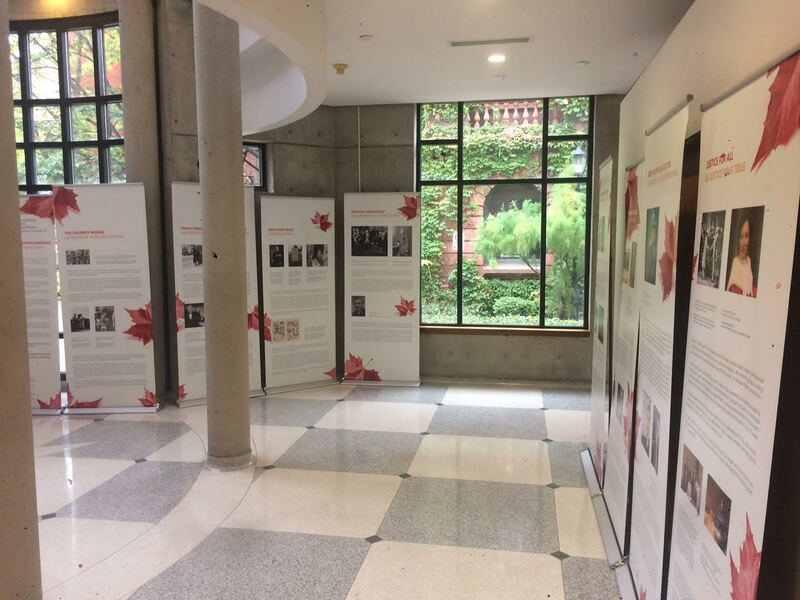 A website WWW.CJE2017.com provides additional information about historical topics covered by the CJE exhibit and about many extraordinary Canadians. The website also provides information about venues for lectures and other locations where the travelling exhibit can be seen. 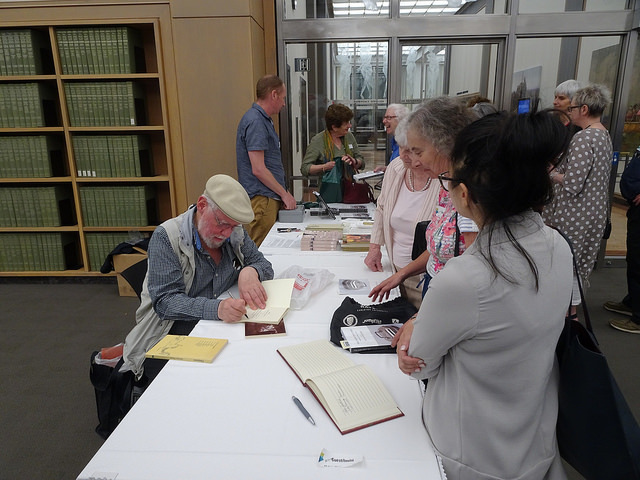 A special bilingual quiz on topics drawn from the exhibition and the website is on our website. Visitors of all ages are invited to test their knowledge and expand their understanding. The CJE panel exhibit has established an outstanding record. 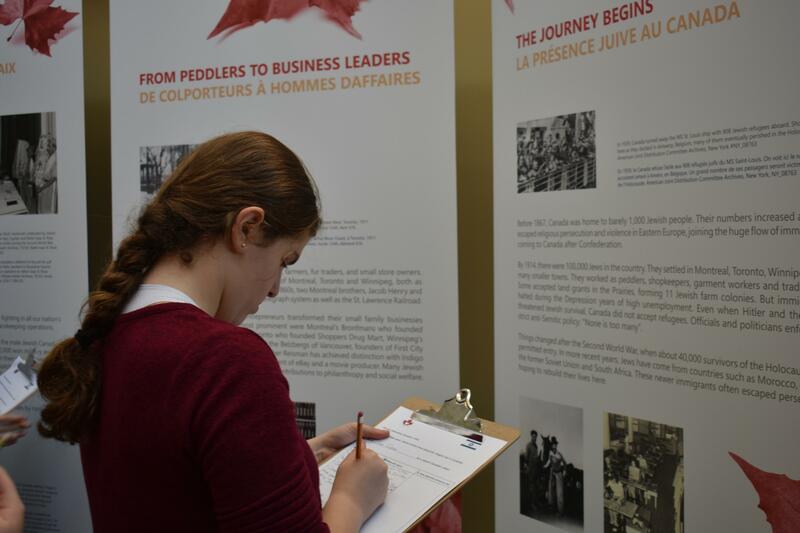 The exhibit was first shown in Ottawa, where thousands of visitors have already seen it in this special year. It is on display in three locations: the public lobby of the Canadian War Museum, Ottawa City Hall, and the lobby of a National Capital Commission building at 30 Metcalfe St., two blocks from Parliament Hill. 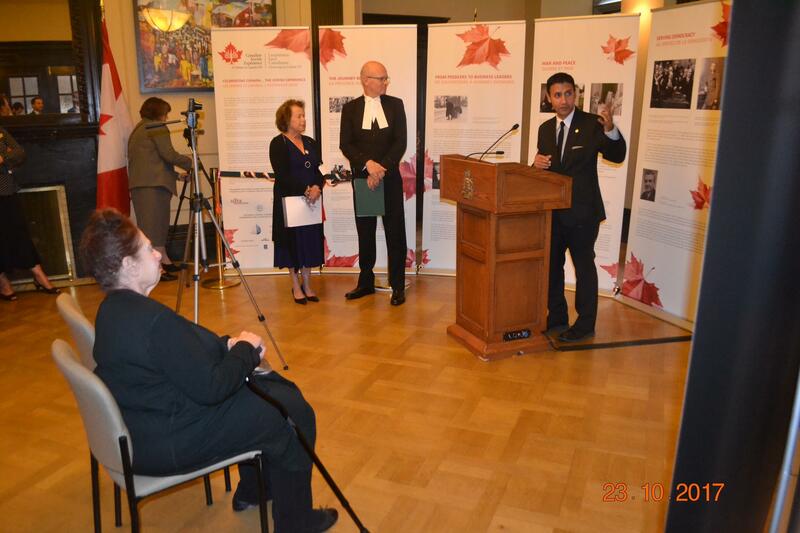 The exhibit will also be on display during 2017 from Newfoundland to Victoria, including the Ontario, Saskatchewan, Manitoba Legislatures, Parliament Hill, Winnipeg City Hall, Diefenbaker Canada Centre, Saskatoon, Western Development Museum, Saskatoon, Halifax Public Library, Calgary City Hall, Heritage Park in Calgary, the Stampede Breakfast in Calgary, Edmonton City Hall, and Vancouver Public Library. The list is still growing. 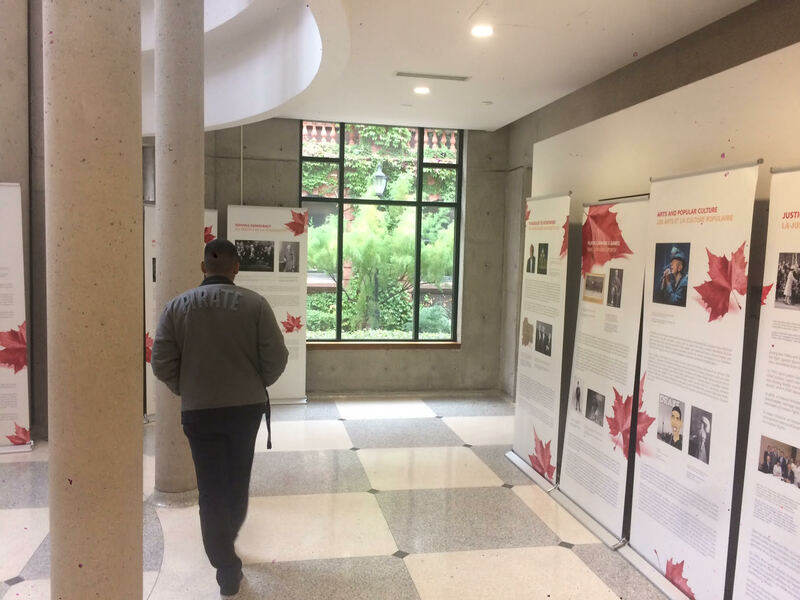 The CJE will have a special tour to 30 universities across Canada, CJE is very proud that universities from Nova Scotia to BC will mont the exhibit. For more information please contact Michele Murray , also copied here. There is no charge for hosting the exhibit. The CJE is a volunteer initiative funded entirely through private donations and is a charitable organization. Experience, A Tribute to Canada 150, was hosted on the Hill. Tova Lynch from the CJE. Sitting Sharon Sholzberg-Gray, the widow of the late Herb Gray. MP. Michael Levitt, MP. Deb Schulte, MP. Eva Nassif. Great Canadian. Great Jewish Icon. 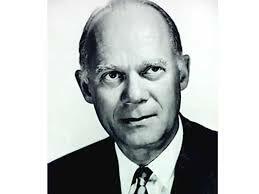 first Jewish Lieutenant Governor in Canada. and MP Randeep Sarai (Surrey Centre, BC).